Approval of the Keystone Pipeline masquerades as a political or an environmental debate. It is actually a discussion about the trajectory of American society. And, much depends on it. It is also an old debate first aired in early American history about the kind of economy best suited for a democracy. We chose a free market, unfettered by government. That suited people who remembered first-hand how government can oppress individual freedom. After centuries of church and state oppression in Europe, early Americans thrived on the open space and endless abundance of natural wealth the North American continent offered newcomers. The vastness of the continent and the virginal state of forests, grasslands, soils, and lakes and rivers must have been something fantastic which we 21st century Americans find hard to imagine today. Our generation faces something entirely new. While the signs of stress in the body of the continent have been visible and studied for nearly 100 years, the day to day economic activities of our nation have not responded to new conditions. The productivity of soils is falling; resistance to pesticides is growing. Species populations are plummeting, fisheries shrinking, and climate is changing with burning of fossils fuels. Regulations have been imposed, and grown in complexity, that restrict our freedom to use the land as we wish—for our pursuit of happiness. While ecosystem science has established the limits of natural systems, we have not established a true understanding of how that relates to us. We do not accept limits on our individual freedoms. We believe we can live outside of natural laws—a chosen people whom God has put in charge of Nature. That is an outdated story that, like our early American history, no longer is true in modern circumstances. To act on that original story is perilous today. Debate over the completion of the Keystone Pipeline is really this: we either accept that there are limits to what we can extract from the land under our feet, or not. Which way this will go in 2015 is not about cheap energy, nor is it about jobs. At its core it is about how we chose to relate to the Earth, how we steward the remaining resilience of natural communities for generations to come. It is about looking honestly at the human condition—we are utterly dependent on all the species and physical elements that created The Garden our forefathers found when they first stepped upon these shores. This period of time in human history is one in which we understand a lot about how ecosystems work. We see innovative solutions to clean energy production, pollution, food production and building life-sustaining cities all across the world but as a nation we have not yet embraced the underlying truth of our dependence on earth’s healthy functioning. Don’t be fooled by the debates in Washington, and in the news: this is about a fundamental shift in how we relate to the land under our feet and to each other. In the 21st Century, our democratic way of life must incorporate science into its way of knowing, and reexamine how we treat each other as well as other forms of life in the free market system that drives all we do. The Keystone Pipeline is a debate we should welcome and in which we must all participate because so much depends on it. We are truly at a moral crossroads. Which way we decide to turn determines the fates of current and future generations of all living communities across the earth. This is not about a pipeline. It is not about oil. This is about who we are. Today I am remembering my father who served in the U.S. Air Force as a bomber pilot. His B-29, The Three Feathers, has been restored and can be seen on the March Air Field Museum’s website. 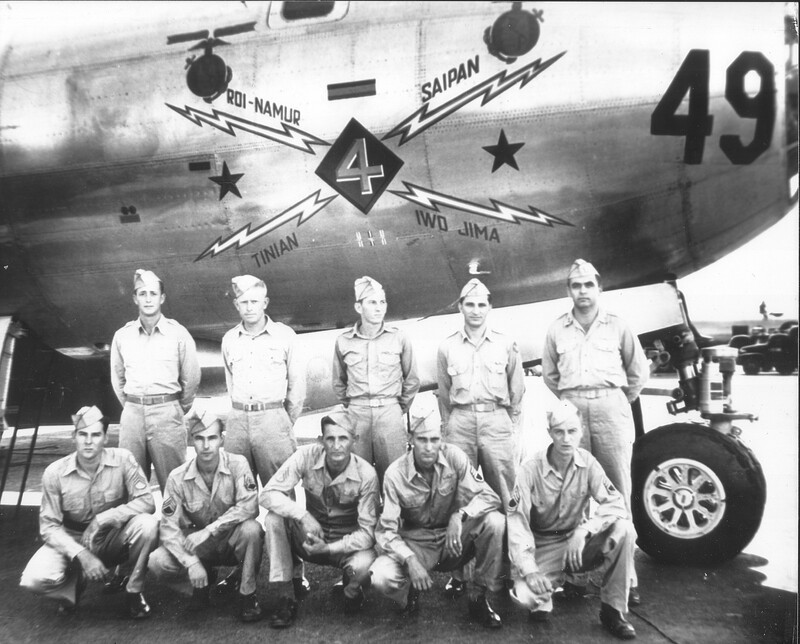 Watch the running banner for the B-29, Z-49–that is the plane dad and his crew of young men flew in WWII, Pacific Theater. 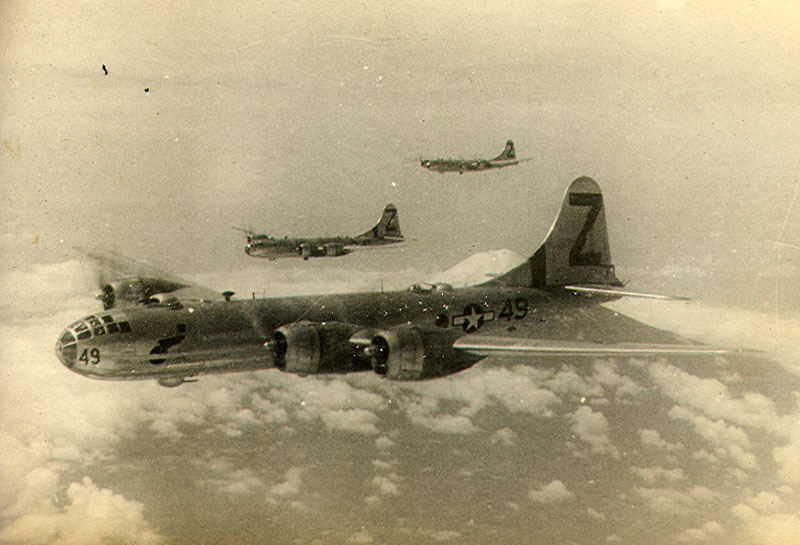 Here they are flying over Japan on a bombing raid. Our family has listened to the tales of fear and hardship our fathers endured until they have become legends. Yet, there are other legends that we do not hear as much, legends that arise years after our heroes return from the battlefield. Dad passed away on December 7, 2012 a fitting day for him because it was a day that would define the rest of his life. It took him from the small town of Watauga where he’d grown up into a vast system of power and excitement, taught him to fly complex machines, led him to bomb cities where no doubt many people suffered as we defended our own shores. Dad, like the men and women of today, was swept into events larger than any he could imagine or had the experience to understand at the time. He eagerly joined the Army Air Corps for the personal reasons people do today: to learn to fly, to leave the poverty of his early life, and to gain the benefits provided by the best military in the world. His service in the WWII was dangerous and like so many others, he and his crew came within inches of losing their lives. Crew members were injured but Dad brought them all home. He was older than all of them: 24. The others were 18 to 21 years old. At one point when they were flying only a few hundred feet above the waves of the Pacific, on only one engine, their lives passed before them–such brief lives. Dad recalled being filled with anger. “I thought, ‘What a terrible waste, to lose these good young men. And, for what? '” It was just like him to not even consider his own life as similarly worthy. I do not want to rain on the many parades that will happen today, but I do want to reflect on these issues because they disturb me. We fought WWI to end all wars, and WWII to defeat evil in the world. And so on…but war creates war…it never settles anything for long. As a measure of our conscience, shouldn’t we rethink how we respond to violence? As a country that was originally founded among many spiritual communities, we have somehow walled off the military actions of our nation as exempt from moral scrutiny. That is convenient, isn’t it? I would savor a discussion about this incongruity even while I pay homage to the veterans who served and are serving our country today. I’ll stand with all my fellow Americans today to honor our men and women in uniform even while I put out this call to reexamine what we have created and where it may lead us. For a morally responsible perspective: Joanna Macy: Our greatest danger, on Strongheart’s blog. Below is a portrait of my father’s crew. He is on the far right, back row. 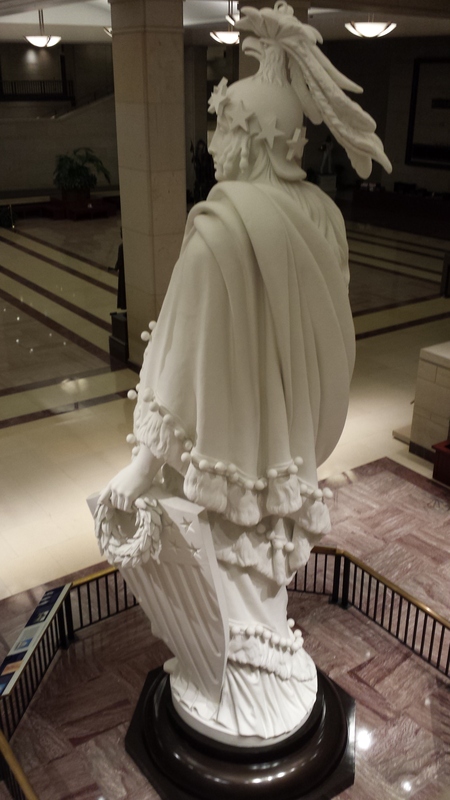 The midterm elections are over. Savor the silence. There is a good deal of analysis but its nothing like the barrage of emails that filled my inbox from the Dems who grew desperate and asked me for money at least a dozen times a day. I voted of course and gave what I could but they never let up because no one relates to us “people” as individuals anymore. We are part of a fundraising formula. I will not go on. There is this breather of sorts–a time in between–the past elections and the coming Presidential campaigns. I plan to head for the hills or hoist the mainsail and take off close-hauled to the wind. As we end 2014 I am party-less and encouraged that people can duck under the rhetoric of these times to chart a brand new day. I feel a new democracy forming that is people-centered, made of clear thinking people at the base of the American food chain, who are not going to settle for wholesale theft of the American Dream by a few corporate heavy weights. All we need now is a candidate who can embody that spirit. On Voting Day for Congressional seats I am thinking about a famous line from Gandhi speaking to his British oppressors: 10,000 British cannot keep 100 million Indians down. So, as we expect the $billions of the Koch brothers’ war chest and other Super PAC contributors to influence the makeup of Congress, I say to them: 100 of America’s wealthiest barons and baronettes cannot keep down 350 million American citizens for very long. And I am speaking to both political parties. Our nation–this dream of democracy–is less than 300 years old. Most of the governments of the world are thousands of years old. Think of that: we are still newcomers and the dream is still being tested. The essence of our internal battle is caused by an economic system without democratic guidance within it, to restrain its inherent greed. Capitalism produces poverty and social divide without the good sense and moral restraint on those with the greatest wealth. There is nothing to stop market forces from impoverishing the majority while a minority reaps the harvest of billions. *The difference now is that among the “people” with the greatest wealth are corporations, considered persons with individual rights per the unfortunate Supreme Court ruling in 2010, Citizen’s United vs. the Federal Campaign Commission. In trying to sort out whether Michael Moore’s film Fahrenheit 911 and Citizen’s United’s Hilary: The Movie were of similar nature, the court ruled that nonprofit organizations can contribute to political campaigns. The way the law came down and is interpreted resulted in nonprofit organizations not required to fully disclose their donors, so that U.S. citizens do not know who is influencing their opinions (through advertisements and videos and news services). The truly hurtful aspect of the Citizen’s United ruling is a political system now infused with corporate funding that is influencing supposedly free elections. This one ruling wounded the democratic body more than any I can think of in my lifetime as an American. The question is, Is this a mortal wound? Wealth has degraded our schools and our free press through privatization of public services: the worship of free markets, which as I’ve written above, are without any moral restraints. So as we watch the voting returns tonight, let us remember that democratic forces are not at work in the results, no matter which side of the Congressional Isle wins. What we will watch is the result of Big Money influencing how citizens cast a ballot. Without the vigilance of citizens who can think independently, we’ll have a “bought” election every election now. This is now very difficult to achieve without a free press and with every avenue of communication bought and sold by big corporations. Don’t be naive. Our opinions are being shaped by those forces every day, every hour that we are online, listening to news, or reading newspapers. Until we remove corporate power from our voting and free press and schools, we are an oppressed people under the rule of entities whose names are not even available to us. Our fledgling democracy is under assault. The first thing we must do is to think and vote independently. The second is to defeat Citizen’s United. Turn off your TV.